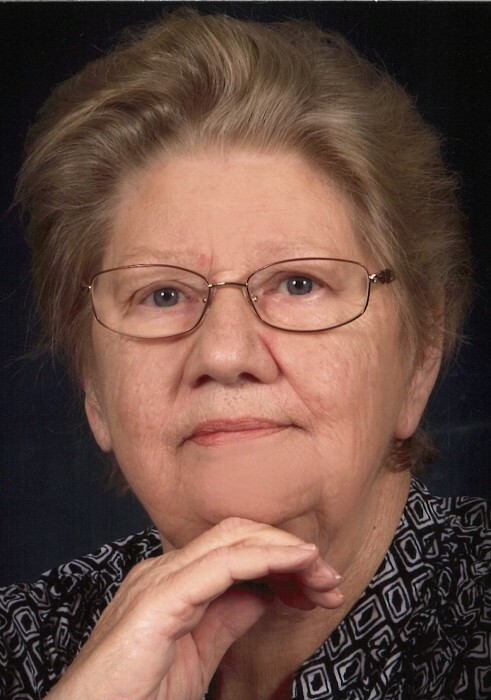 Judy Ellen McInnis Collier, age 77, of Sanford, NC, passed away Saturday, January 12, 2019 at her home. She was born in Lee County on March 14, 1941 to the late Hubert A. McInnis and Mattie Hart McInnis. She retired from the Lee County School System where she drove a bus, worked in the cafeteria and did custodial work at West Lee Middle School. In addition to her parents, Judy was preceded in death by her husband, John A. Collier; a daughter, Sandra L. Huber and brother, C. Edward McInnis. Judy is survived by her stepmother, Mabel McInnis Somers; daughters, Demel Hudson of Sanford, Donna Lucas of Whitsett; son-in-law, John R. Huber of Texas; brothers, James McInnis (Mollie) of Sanford, Rev. Terry Dean McInnis (Ronda) of Beaufort; sisters, Betsy Johnson (Perry) of Sanford and Gladys McInnis of Sanford; grandchildren, JR Huber (Margie), Jessi Hooper (John), Aspen Kessler (Rob), Seth Lucas, Micah Lucas, Serenity Blair (Chris) and Tiffany Gaster; great-grandchildren, Madison, Kendall and Emory Huber, Virginia, Evelyn and John Conner Hooper, Conner and Hailey Kessler, Sarah and Liam Blair and Porter Gaster. A memorial service will be held Saturday, January 19, 2019 at 3:00 PM at Pocket Presbyterian Church with Chaplain Joel Cameron and Rev. Terry Dean McInnis presiding. The family will receive friends following the service in the fellowship hall with a covered dish meal and a time for sharing memories of Judy. Arrangements are by Bridges-Cameron Funeral Home. Condolences may be made at www.bridgescameronfuneralhome.com.